It’s Not Christmas Without A Dash Of Michael Bublé… This Year You Can Ask Santa For A Spritz Of Him Too! It’s undeniable that certain things help to get us in the mood for the festive period. Whether it’s that first mince pie, the red cups from your favourite coffee shop, finally being able to pop on your bobble hat or simply stocking up on wrapping paper like it’s going out of fashion. All the little nuisances that make up our individual holiday season are what makes it special – and for me it’s popping on the Christmas music and sipping on a nice cup of tea. In recent years it’s become clear that Mr Bublé could be renamed Mr Christmas, thanks to the almost universal connection we make between his voice and the opening of yet another advent calendar door; Michael Bublé is the king of the crooners and his holiday album continues to be a best seller year after year. (While recently clearing out my Great Aunts flat she actually had three copies of the same CD, presumably playing in every room of her apartment from December 1st!) Although it’s not possible to mail-order yourself a piece of Bublé, this Christmas you can ask Santa for a bottle of his debut fine fragrance – which is almost as good as opening the real thing on Christmas morning. ensure it’s a sensual and timeless addition to any fragrance portfolio. This Christmas what better way to show someone you care than with a beautiful bottle of scent that they’ll cherish all year long? 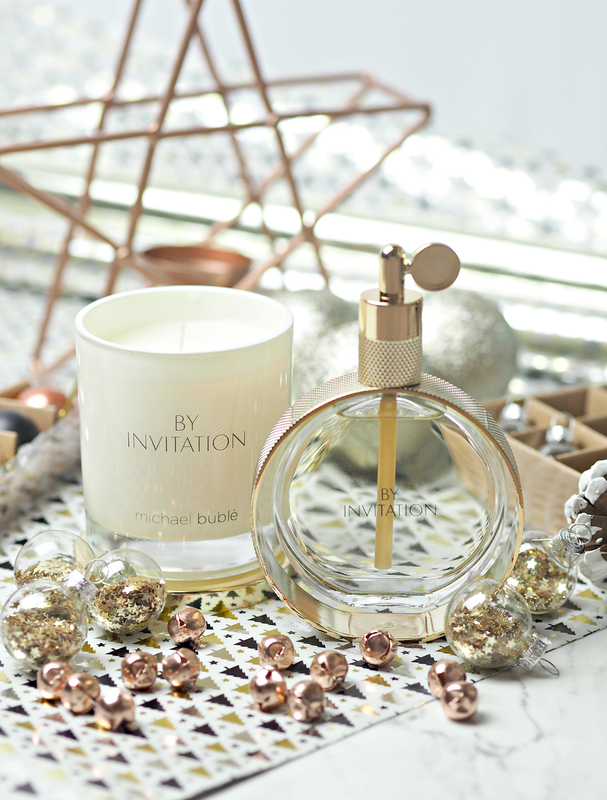 The beautiful ‘By Invitation’ scent is now even available in candle, shower gel, body lotion and purse spray format so you can enjoy it in more ways than one – as well as being available in a special priced festive gift set which includes a free body lotion (worth £14.00) when bought with the 100ml fragrance for £55.00. The timeless design of the bottle and beautifully elegant scent will no doubt be well received from everyone from your best friend and sister to your mother-in-law and Nan. 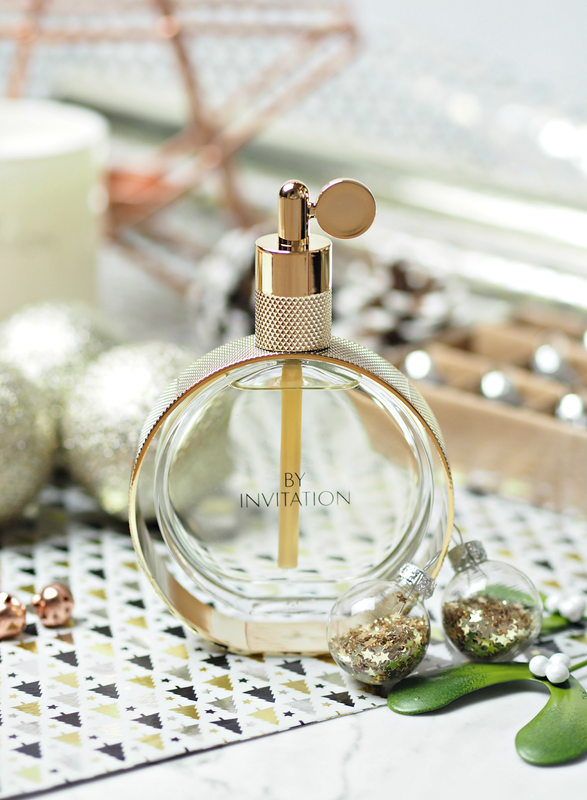 To celebrate the impending holiday season, and the beautifully scented treats on offer from ‘By Invitation’, over the next week I’m going to be bringing you tonnes of Christmas themed content for you to enjoy – so make sure you pop back every day to see what’s new, and to get a little inspiration too. But before then, I’m going to be giving FIVE lucky readers their very own ‘By Invitation’ gift set so they can treat a loved one to the debut fine fragrance from Michael Bublé. (If you want to win one, just enter via the widget below.) Now lets all crack open a bottle of mulled wine, start scoffing the Quality Street and pop on that Bublé Christmas album… Because it’s never too early to get in the spirit. 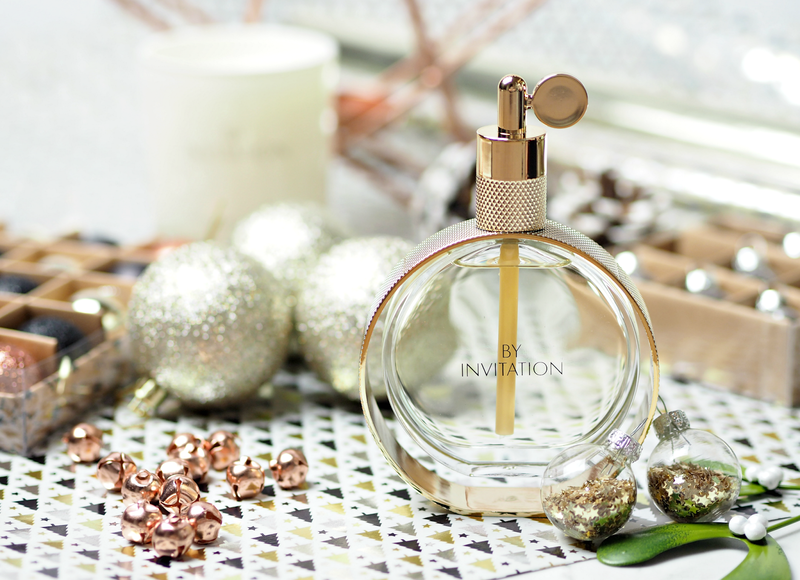 The new festive ‘By Invitation’ holiday gift set is now available to buy at www.michaelbubleperfume.com, The Perfume Shop and leading pharmacists priced at £55.00 (value £69.00.) There’s FREE UK DELIVERY if purchased via the website. Next Post Want To Buy Your Loved One A Fragrance This Holiday Season? Here’s What You Need To Ask Them! My mum would love this is much as I do! I love all these photos – they are amazing! I wish your blog had scent enabled. Wonderful description of the fragrance. Looks gorgeous and classy !